Bachelor Degree in Wildlife Management, or Zoology and Wildlife Ecology from a recognized training institution. Must be computer literate. Holder of Ordinary Diploma in video/film production or cinematography from recognized training institution. Installing and commissioning new multimedia equipment and facilities. Bachelor's degree in Computer Science or Information Technology; at least 3 years of experience directly related to the duties and responsibilities specified herewith. Must possess Certification of Information Systems Auditor (CISA). A holder of Certified Public Accountant (CPA) will be an added advantage. Performing any other relevant duties as may be assigned by superior. Holder of Form IV Certificate with passes in English and Kiswahili and must have successfully completed Office Assistants’ Course from a recognised institution. Taking inventory of cleaning equipment and safe keeping them. Performing any other related duties that may be assigned by superior. Holder of Form four Certificate with Basic Certificate in Marine Operations from a recognised institution. Must have completed six months course in marine rescue and swimming, crowd management and passenger safety. At least three years in operating and maintaining ferry/boats certified by Dar es Salaam Maritime Institute or any other recognized Institute. Performing other related duties assigned by a superior. At least Bachelor Degree or Advanced Diploma in Accountancy from recognized institution and must be computer literate. Assisting Internal Auditors in conducting various audit tests. Participating in the collection of audit evidence. Participating in preparation of internal audit reports. Participating in witnessing annual stock takings and board of survey. Performing any other duties related to the field as may be assigned by superior. Holder of Form IV/VI Certificate with Certificate in Procurement and Supplies or Basic Certificate issued by the Procurement and Supplies Professionals and Technicians Board (PSPTB). Must be computer literate. Holder of Form Four Certificate with Class “G” Plant Operators Licence. Must have experience in plant operation for not less than 300 hours or three months with clean operating record. Making regular checks of plants/machines to ensure cleanliness and serviceability. Holder of Form IV Certificate with good passes in English and Kiswahili who possess a Certificate in Secretarial Studies from Tanzania Public Service College or any other recognized institution. Must be computer literate. Keeping and maintaining office machines / equipment and accessories. 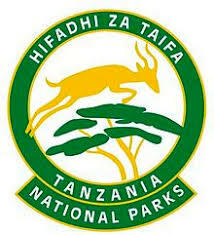 Holder of Certificate in Wildlife Management, Tour Guiding or Tourism from a recognized institution. Fluency in Swahili, English and any of the following foreign languages: French, German, Portuguese, Japanese, Italian, Spanish or Chinese. Must be computer literate. Other relevant duties as may be assigned by Superior. Bachelor of Science Degree in Wildlife Management or Zoology & Wildlife Ecology, from a recognized training institution. Must be computer literate. Holder of Certificate of Secondary Education Examination with Trade Test Grade III or Relevant CBET Level in Motor Vehicles Mechanics, Auto mobile or Electric Installation from recognized Vocational Training Institution. Performing any other related duties as may be assigned by superior. Holder of at least Bachelor of Science in Civil Engineering from any recognized Institution. Must be registered by the Engineer Registration Board (ERB) as a Professional Engineer. Holder of Form IV Certificate with passes in English and Kiswahili with class ‘C’ driving license and ‘Trade Test’ Grade III or above in Motor Vehicle Mechanics. At least three years driving experience as class “C” driving licence holder. Making regular checks of vehicles and other machinery to ensure cleanliness and serviceability. A holder of form Four Certificate with Accounts Technician Certificate (ATEC I) or Certificate of Accounting or equivalent qualification from recognized institution. Candidate must be computer literate. (i) Direct Entry Qualifications:Bachelor’s Degree in Human Resources Management or Public Administration or equivalent qualifications from a recognized institution. Must be computer literate. Performing any other duties that may be assigned by supervisor. Bachelor Degree or Advanced Diploma in Building Economics from a recognized institution. Must be registered by Board of Architects and Quantity Surveyors. Must be computer literate. At least three years’ experience with a reputable organization in the related field. (i) Direct Entry Qualifications:Holder of Bachelor Degree or Advanced Diploma in Accountancy or equivalent qualifications from any recognized Institution. Bachelor Degree in Economics, Natural Resources Management, Land Use Planning or Economics Planning and must possess Post graduate Diploma in Monitoring and Evaluation.Must be computer literate. Performing any other related duties assigned by the superior. Carrying out audit of financial statements. Orienting new Internal Audit staff. Reviewing working papers and reports prepared by juniors. Timely responding to audit queries emanating from audit working papers after review by superiors. Preparing audit working papers and audit files. Making follow up on internal and external audits queries. Assisting CIA in the coordination of internal audit activities/functions. Advising on areas of improvement for effective internal control system. (i) Direct Entry Qualifications: Holder of at least Bachelor of Science in Mechanical Engineering or related engineering field from any recognized Institution. Must be registered by the Engineer Registration Board (ERB) as a Professional Engineer. Participating in preparing maintenance strategies of vehicle and machines. Managing, controlling and guiding of the Technicians and Artisans involved in the work section.